“Unanimous” is a word that’s hard to come by these days, but this was one of those rare times. For the first time in history, there was a unanimous Baseball Hall of Fame candidate, Mariano Rivera. It wasn’t too surprising. Though it had never happened before, many people believed Mariano Rivera would be the first to get in on a unanimous basis. Sure, some people were saying that his role, as a closer, automatically meant he was overrated. As such, his MLB record of 652 saves is overrated too, according to them. His 2.21 earned run average and 1.000 walks plus hits per innings pitched are MLB lows. However, some might argue that these stats are artificially low because Mariano Rivera didn’t work as many innings as other pitchers, due to him being a closer. Perhaps. But there’s one area that can’t be denied – Mariano Rivera has the lowest postseason ERA of 0.70, among other records, and he worked many more innings there, against the best players in the highest pressure situations, than other Baseball Hall of Fame members. But if Baseball is a numbers game, there’s one stat that’s mindboggling. If that doesn’t prove that Mariano Rivera deserves unanimous induction into the Baseball Hall of Fame, then maybe numbers alone will never work. There were other reasons Mariano Rivera got inducted into the Hall of Fame unanimously, ones which were far more important. Many a commentator from ancient times has said that character is destiny. Unfortunately, we can’t change our characters as easily as we wish. In The Laws of Human Nature, Robert Greene notes that the word “character” stems from a Greek root which referred to engraving on metal. This is obviously not something that can be erased easily. It’s deeply ingrained. This can work either to your benefit or your peril. Mariano Rivera grew up in a poor fishing village in Panama called Puerto Caimito. Like his father, he worked as a fisherman, but found the job difficult. Baseball wasn’t his dream though. It was just a thing he did as a hobby. Famously, he used a milk carton for a glove, had no shoes, and used a stick for a bat. He played as a shortstop, but wasn’t picked up for that position. Eventually he was picked up by the Yankees as a pitcher and signed to a minor league contract. It wasn’t the big break for Mariano Rivera. His minor league career was hard for him, given that he originally didn’t speak English and couldn’t communicate with anyone. He got lonely and homesick. He struggled in the major leagues, too, getting beat up as a starting pitcher and getting sent down to the minor leagues several times. The Yankees thought about trading him. He didn’t seem like he would become a unanimous Hall of Fame inductee. He transitioned into a reliever role in 1996 and that proved to be the spark in the gasoline. As the setup man for the now disgraced John Wetteland, he dominated and was a crucial part of the Yankees’ World Series team that year. He became the closer in 1997 and remained there until the end of his career. During his years of dominance, Mariano Rivera could have easily gotten arrogant and lost his way in the glory, much as his teammate Alex Rodriguez did. He didn’t. He was still the same hard working and respectable guy from Puerto Caimito, despite the vast change in material circumstances. His upbringing probably had something to do with this. He might have known that life was fleeting. That doesn’t explain all of it, though, as Rodriguez grew up poor as well. What might be the other key ingredient in Mariano’s outstanding character is his religious faith. He didn’t grow up in a religious household, but it came to him during his transition into baseball, and it kept him going. Much has been made about the utility of religion in the modern age. Is it controlling? 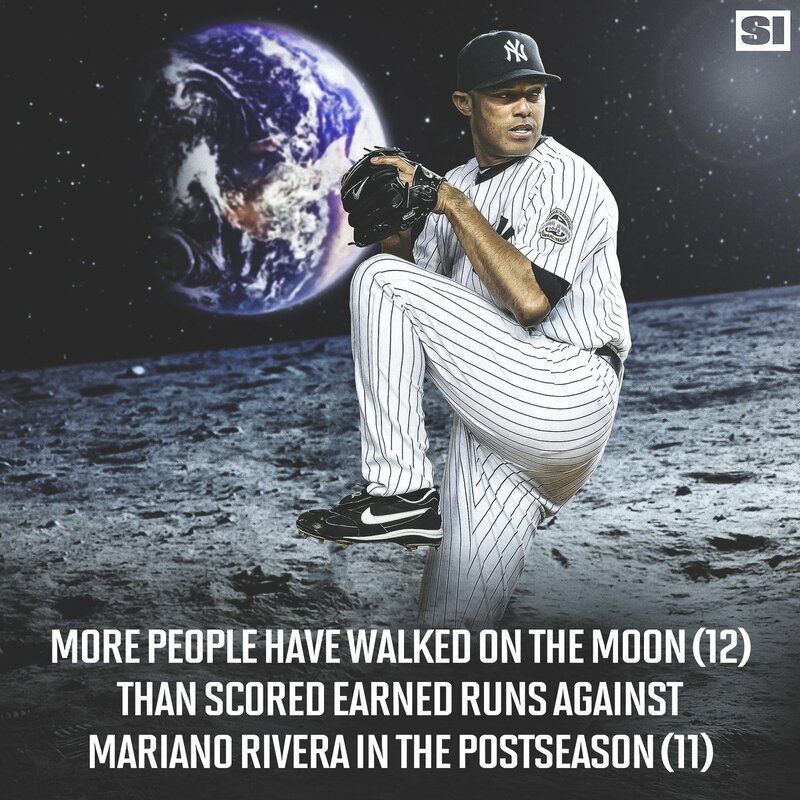 Possibly, but Mariano Rivera believes in something higher than himself, something that he needs to be held accountable to. As a result, he stayed grounded and aware of his limits, and thankful for the success that he had, instead of overextending himself and wanting too much. This character, even more than his playing credentials, was ultimately what led Mariano Rivera to being the first unanimous Baseball Hall of Fame inductee. 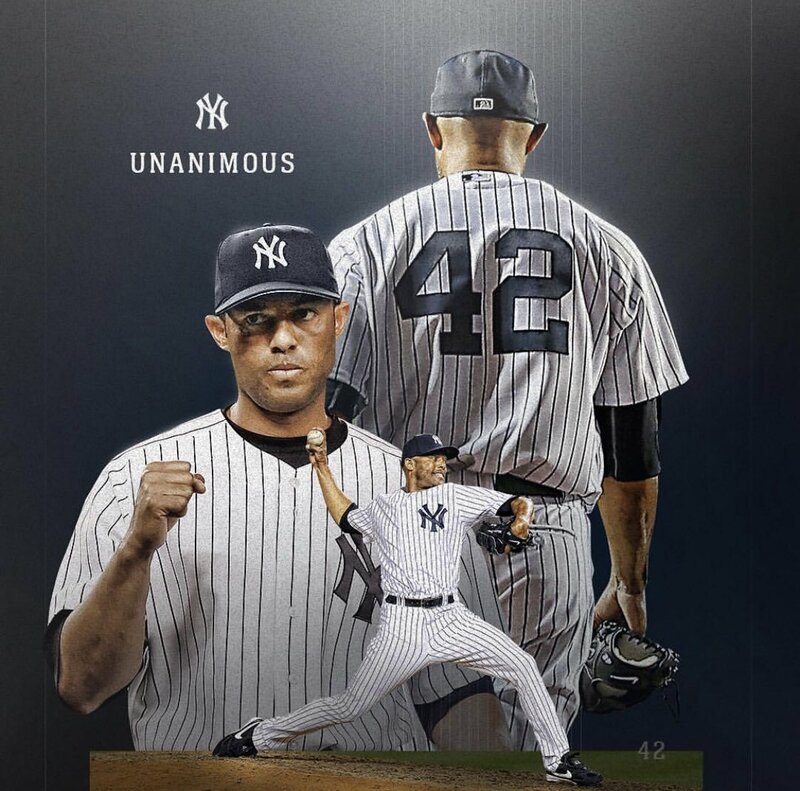 Mariano Rivera has guaranteed his everlasting glory, both through his talent and his good character. Mariano’s biggest lesson is that you can deal with adversity in two ways. You can worry about it and let it drag you down, or you can use it as fuel for innovation and self-improvement. Everything begins from how you deal with that stress, and he used it to improve his skills to the point of becoming a unanimous Hall of Fame player. Maybe you can’t expect to have quite that high of a skill level – not nearly enough to be unanimous in anything. Most people don’t. You can, however, build a set of skills that can get you into B+ territory in certain, crucial areas. This was how Scott Adams and many other people succeeded, and beyond it, even attained undying glory. Mariano’s fellow Hall of Fame inductee this year, Mike Mussina, is a notable example in this area. He was never the top player of his generation, but was consistently very good as a pitcher, and in Baseball, that’s what matters most. His name will live on, too. Thankfully, as Mussina proves, a state of kleos doesn’t need to come from unanimous opinion. It elevates Mariano’s glory even higher, but don’t stress out about not being able to reach such a high. As Mariano himself said in yesterday’s Hall of Fame press conference, don’t worry about your external circumstances. Just keep playing the game. Sometimes, you’ll need to make adjustments. Sometimes, you might have to abandon one game for another, one with better odds. Just keep at it, figure out what works, get really good at that, figure out how you can make a work from there that will last forever, and keep trying, trying, trying. Maybe you won’t win in the end, much less get kleos, but you’ll be living a full life, as Rivera has. Read Stumped to help your journey into your own Hall of Fame.